3-4 cloves of garlic, peeled and minced. 3-4 tablespoons butter, at room temperature. Prep you artichokes: Start by chopping off the top third of the artichoke, then peel away all the outer leaves till you get to the more tender, lighter- color leaves (they will be almost yellow). 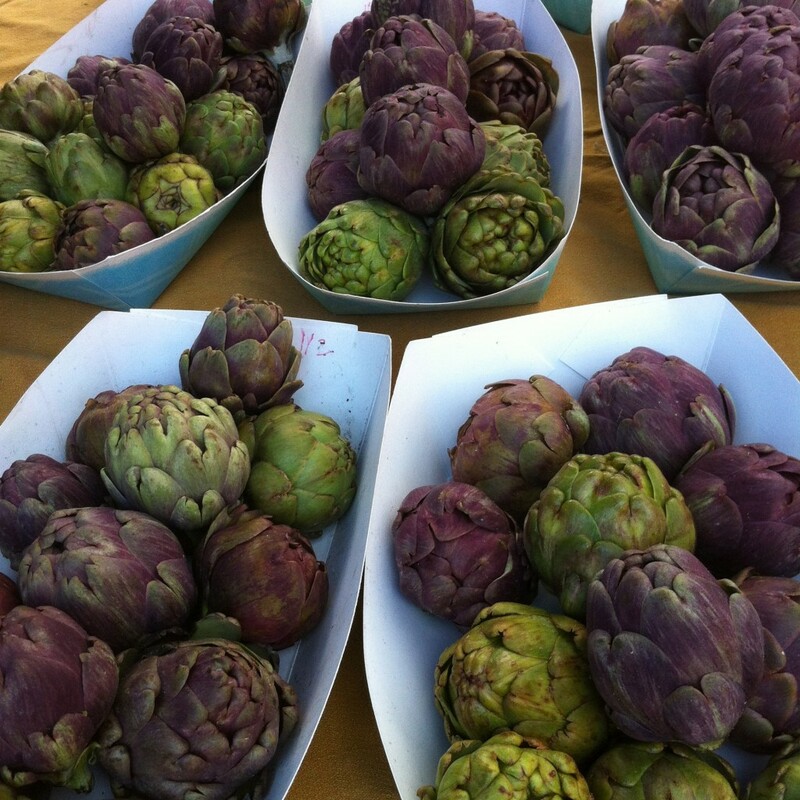 Finally peel the stem, up to the base of the artichoke, and slice the entire thing in half, lengthwise. All prepped! While you are prepping the rest of the artichokes, let soak in some water with a generous squeeze of lemon juice to prevent discoloration. In a large pot, bring salted water to the boil, for the pasta. In a large heavy bottomed pan, heat up a little olive oil. Coat the chicken legs with a little flour, season liberally with salt and pepper. Add the chicken to the pan skin side down, and brown evenly on the skin side. *This might be easier done in a couple of batches. Remove the chicken from the pan for the moment. Add the artichokes to the pan, browning them on the cut side. After the artichokes are browned on one side, return the chicken to the pot, lower the heat, and add the garlic. Cook gently for thirty seconds to one minute. Add in a splash of white wine vinegar, a squeeze of lemon and throw in the sage. Let cook and stir until the liquid evaporates. Reduce heat to low and simmer until the broth is reduced by half and the artichokes are SUPER tender, this will take about 30-40 minutes. Season with salt and pepper, stir in the chopped sage, and set aside. Boil the pasta until done, but still a little firm. Drain and toss it with the butter and season with salt and pepper. To serve: place a mound of pasta on each place, and top with artichokes, chicken, and some of the sauce. If you have leftover feta or goat cheese in the refrigerator, sprinkle some crumbles on top.